Ascending Butterfly: Winner Announcement - Ascending Butterfly's 'Spring Into Bags' Elliott Lucca Giveaway Winner! Winner Announcement - Ascending Butterfly's 'Spring Into Bags' Elliott Lucca Giveaway Winner! 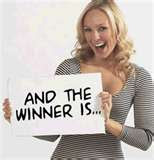 Congratulations to *'Cdziuba' confirmed winner of Ascending Butterfly's 'Spring Into Bags' Elliott Lucca Giveaway! This was the first bag in our feature, we will feature a new bag every two weeks throughout spring. We would like to thank our sponsor, Elliott Lucca for this great giveaway. We look forward to working with you again soon! Special Note: I wanted to thank everyone who took the time to let Elliott Lucca know on their facebook page that Ascending Butterfly sent you, the sponsor was so impressed with your enthusiasm that they will be working with us again to feature another bag during our 'Spring Into Bags' feature! Please continue to do this when entering giveaways, it makes more of a difference than you know! You guys are the BEST, I ♥ all my Ƹ̵̡Ӝ̵̨̄Ʒ's! Congratulations! on a wonderful prize. I am green with envy. Enjoy your fab new bag! Yay! Congrats on your fab prize! Congrats, I hope you enjoy your bag and can use it all the time. Cdzuiba,CONGRATS. on your win! !Hope it brings you lots of joy.